Disclaimer: The nail polish was provided for review. I used three coats of "Off the Scale" to obtain full opacity. The drying time of "Off the Scale" is great and the application was very smooth as well. But like any glitter, it needed a good amount of topcoat. You can pick up some of the green glitters from the photographs but it looks even more gorgeous in person. I think Deb Lippmann's Mermaid's Dream has got a big competition for the most mermaid-esque polish! Hehe. 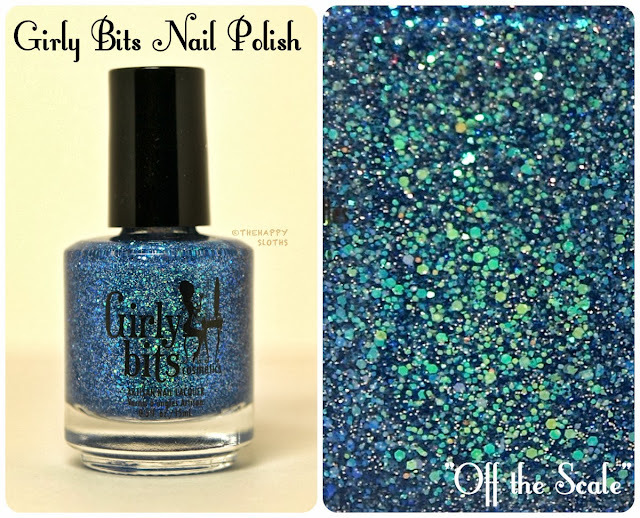 This is definitely one for the glitter lovers, check it out at Girly Bits' shop. Thanks for dropping by, cheers!